50-year-old mother of seven was caught with N40kg of cannabis. 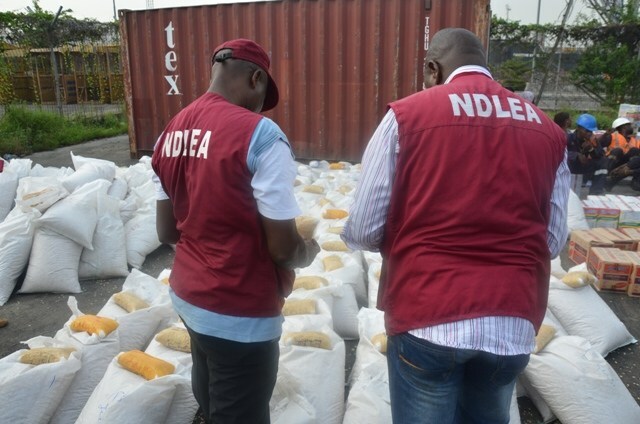 The Edo Command of the National Drug Law Enforcement Agency has apprehended a 50-year-old mother of seven, who allegedly hid 40kg of cannabis in a consignment of vegetables. The state Commander of the agency, Mr. Buba Wakawa, confirmed the arrest to the News Agency of Nigeria in Benin on Tuesday. Wakawa said that the suspect, who lives in Ibadan, was arrested on the Uzebba-Ifon Road on her way to Oyo State with the substance. He said that the agency recovered four bags of dried weeds which tested positive to cannabis from her consignment of vegetables which included bitter leaves and pumpkin leaves. According to him, the command has commenced a strategic motorised patrol across the state to intercept cannabis shipment. “Drug barons usually target end of the year. “This arrest is a product of motorised patrol embarked upon by the state command as a counter strategy to intercept illegal movement of narcotics. “The target is to promptly cut off supply and prevent drugs from getting to the end users,” Wakawa said. According to the commander, the suspect claimed that she was a divorcee and needed money to register some of her children for West African Senior Secondary School Certificate Examination. The commander told NAN that the suspect would soon be charged to court while her accomplice would be arrested.